yourself with these stunning Drop earrings from Christopher Designs. A part of their Earrings collection, they are sure to awe with their one of a kind design. Model number G52ER-PER-AQ brings class to any outfit, made from 18k white gold. These Gemstone earrings are crafted with only the finest materials. 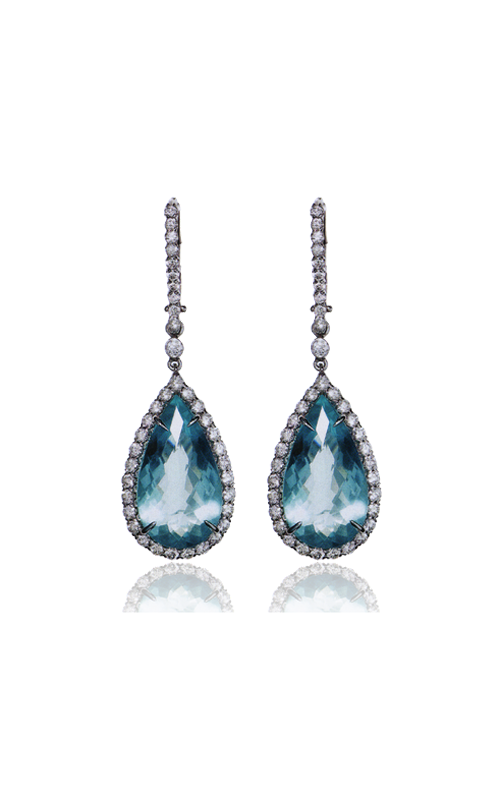 Aquamarine, Diamond stones that adorn these earrings in Round, Pear shapes, contrasting wonderfully with the color of the metal. The Aquamarine, Diamond are held securely in place with a Prong, Pave setting.